The World has evolved enormously and so has the technology. Google has mapped the world so extensively that you can literally put the house number of a friend and google map will take you to entrance door of his house. When the world has become so advanced it looks so outdated to talk about things like sextant. But anything that works independant of any external resource will be valued for ages to come. Sextant is one such equipment on board the ships. And because it is independant of any external resource, you will still it there on board. Since it is going there for long time, it is time that we know it better. I have written a couple of articles on sextant and how it helps to get the ship’s position. In this post, I will discuss about getting ship’s position by Sun sight. The first thing that we must know is our DR position. 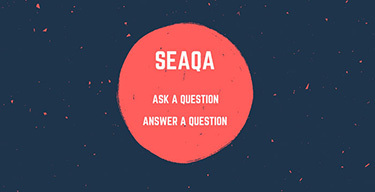 We cannot expect to suddenly land ourself in the middle of the sea. We must be aware of our whereabout. To know the DR position of the vessel, we just get the last known position of the ship and apply our course and speed to that position to get the present DR position. This is not so difficult task. Theoretically, we get this by calculating D’Lat and D’Long between the two positions. 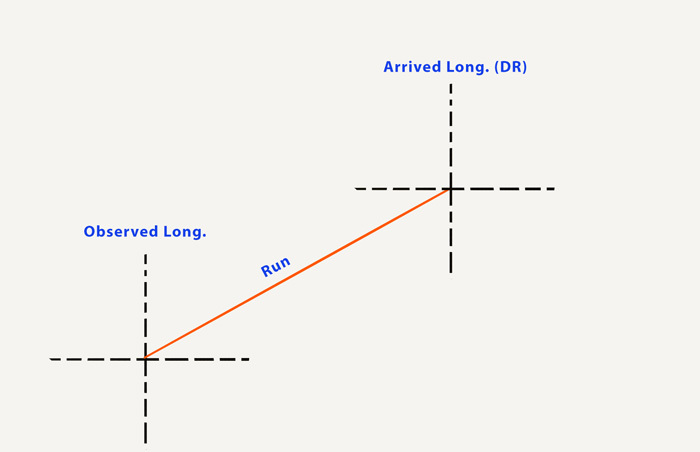 Practically, you can plot your last know position on the chart, draw the course and distance from this position and measure the arrived position from the chart. Alternatively there are many softwares available to get the arrived position from a known position with known speed and course. But if you are taking sun sight just for practicing your hands on sextant, you can simply take the present GPS position as DR position. This will allow you to better check accuracy of your sight. In the morning when the sun is above the visible horizon, measure the sextant altitude of the Sun. The accuracy of the sight results depend solely on the accuracy of measurement of sextant altitude. And the accuracy of measuring sextant altitude solely depend upon the experience of using the sextant. That is why it is important to practice taking sights when your GPS is still working. Let us say we have taken the morning sight and we have measured the sextant altitude of the sun as 27 deg 22.1 minutes. The time of the sight need to be noted down precisely to the second. So let us say that the time of the sight was 08:33:32 LT (00:33:32 GMT). Next would be to calculate the observed longitude. 3. 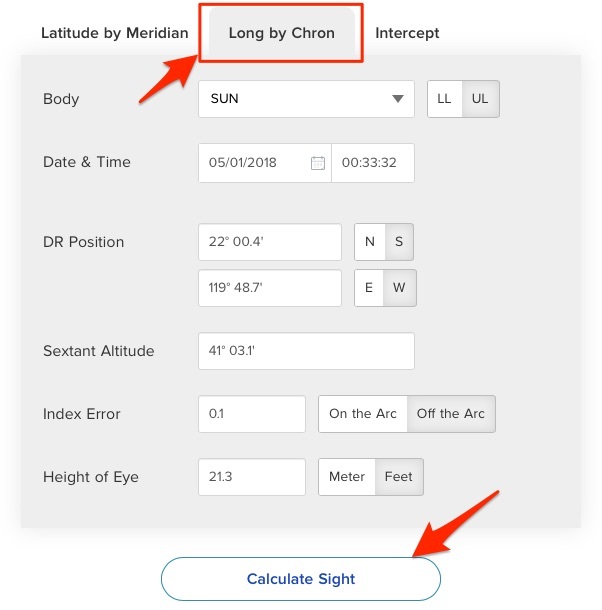 Calculate the observed longitude by Long by Chron method. This is the part that we all have studied during our competency exams. We all know about the calculations. 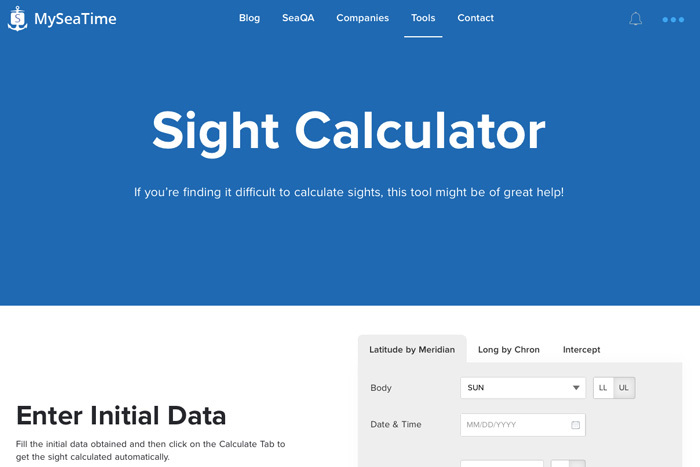 For the calculation part, you can either do that manually or you can even use the Sight Calculator on this website. This is where most of the seafarers get confused. The observed longitude calculated by the Long by Chron method is not the longitude of the vessel. Azimuth is calculated to get the direction of position line. 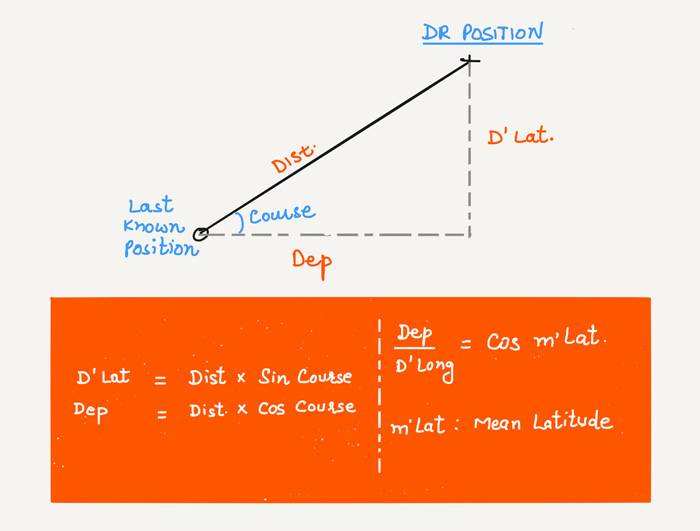 For celestial observations, position line is always 90 degress from the azimuth of the body. 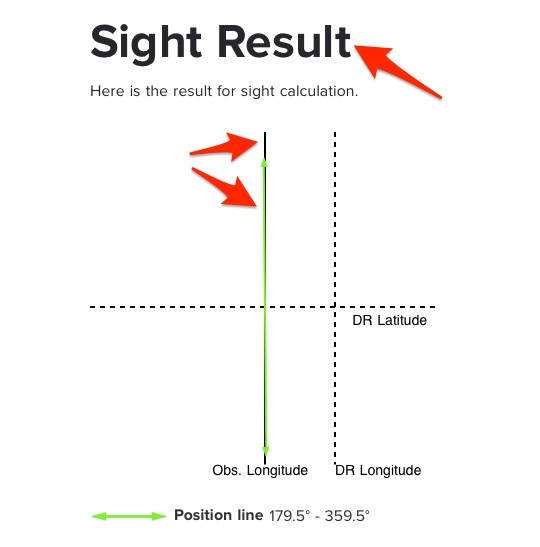 Let us calculate these two things by using the Sight calculator of this website. Go to Sight Calculator and then to Long-by-Chron. Next enter all the input values that you have. And then click on “Calculate”. So with the morning sight, we have got one position line and we have the position through which to draw it (DR Latitude and observed longitude). As you can see, in this case the position line is almost parallel to the observed longitude. So with long by chron, we have got our first position line. But to get the ship’s position we need a second position line. We use the Sun’s Meridian passage to get the second position line. In Mer-Pass, we measure the sextant altitude of the body when it is on the observer’s Meridian, i.e directly above the head of the observer. We know that the Sun is directly above our head around noon time. In reality it may be few minutes here and there from the noon time. The Sun’s Mer-pass time for each day is given in the Nautical Almanac. But this time is the Local mean time. 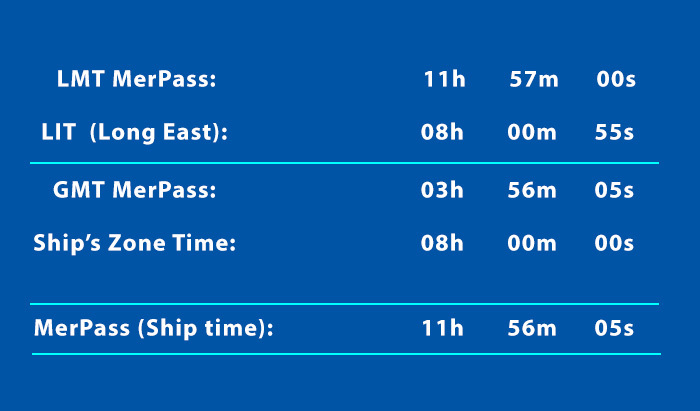 We need to get the time as per the ship’s clocks (and GMT time) for the Sun Mer-Pass. 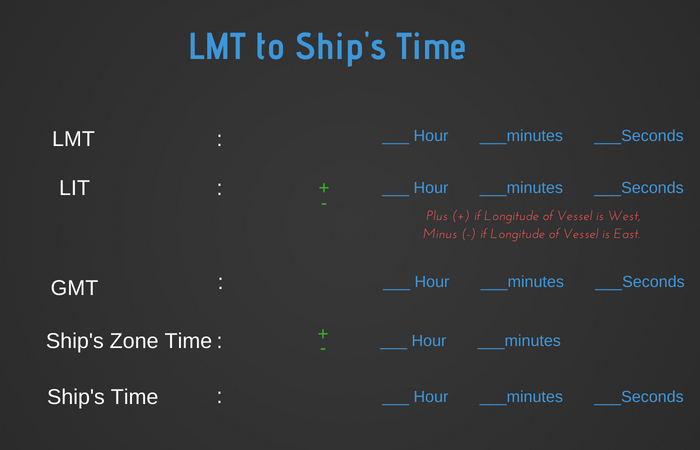 And I am sure you know how do we convert LMT time to Ship’s time. It is by applying the LIT (longitude in time) to the LMT. And to get the longitude at the time of Mer-Pass, we need the Mer-Pass time so that we can apply the run to the observed longitude calculated by Long-by Chron. It is a kind of chicken-egg situation. But as the longitude itself will be DR, we can apply the run and calculate the longitude at 1200 Hrs LT. So we have the observed longitude at 08:33:32 LT and let us say the vessel was doing a course of 45 Deg with speed of 12 Knots between that time to noon time. After applying the run, we get the arrived longitude as 120 deg 13.8 Mins EAST. I leave the calculation to you. For 2nd May 2018, from the Almanac we have the LMT Merpass for Sun as 11:57. Ship is maintaining the time as GMT+8 Hours. We convert the LMT Merpass time to ship’s time. Now this is the time that the Sun would be directly above our head at our position. At the Mer-Pass time that we have calculated (11:56:05 Ship’s time or 03:56:05 GMT), we need to measure the Sextant altitude of the Sun. Around 2-3 minutes before this time, be ready with the sextant on the bridge wing. Have one person stand by with an accurate clock. Around 30 Seconds before the Mer-pass time, you should have brought the Sun to the horizon through the Sextant and keep on adjusting the Sun to keep it at the horizon. 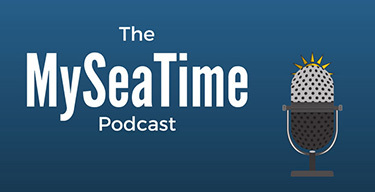 When the person with the clock says stop to indicate the Mer-pass time, Read the sextant altitude from the sextant. This will be the sextant altitude of the Sun at Mer-Pass. It is important that the sextant altitude is measured accurately and exactly at the Mer-Pass time. As the Sun was directly above above head at the time of mer-pass and at the time of sight, the position line will be in the east-west direction. Or we can say that the latitude we will get from this sight will be our position line also as latitudes runs east-west direction. 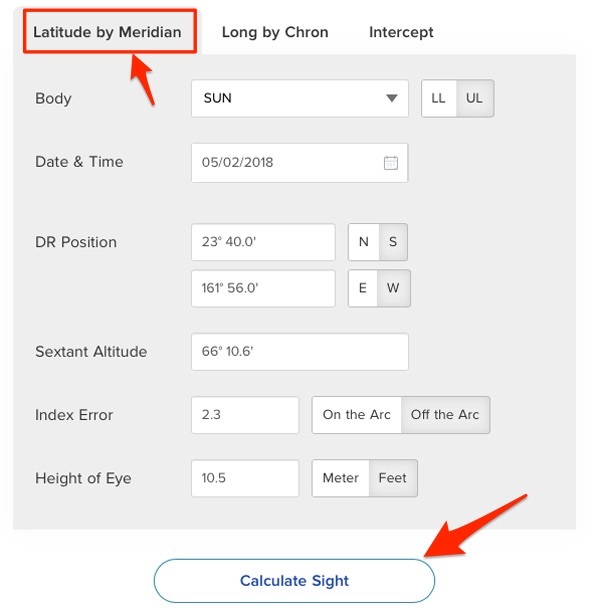 To calculate the latitude by meridian passage, just head to the sight calculator and enter all the values and press calculate. Of course, you can do the calculation part manually or with any other software or excel sheets you may have. Just make sure to verify the calculations. With this we will get the observed latitude of the ship at the time of the Meridian passage of the Sun. 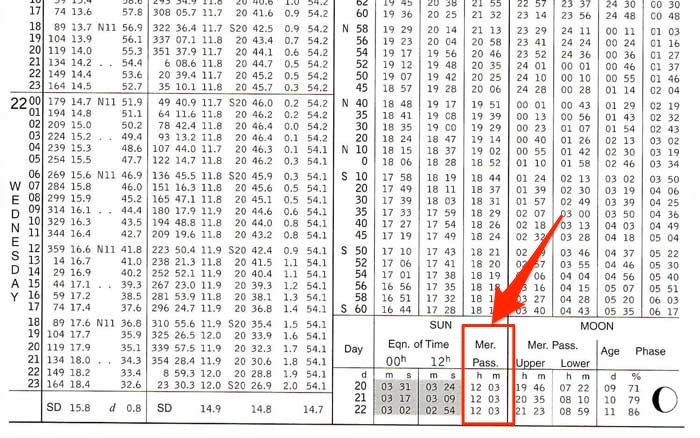 So we have our Latitude at the time of Meridian passage which was at 1156 Hrs. To get the position of the ship at 1156 Hrs, we just need to transfer the first position line (that we got through long by Chron) to this time. The first position line was at 0833 Hrs ship’s time. So the Run time to 1156 Hrs will be 3 Hours 23 Minutes. As we agreed earlier our course during this time was 045 degrees and speed of 12 Knots. By applying the run, we will get the first position line at the same time as the 2nd position line. Now both the position lines are at same time. 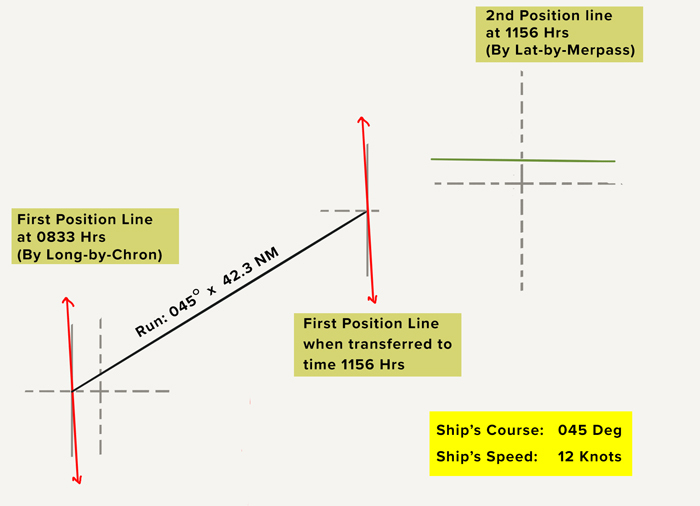 The position at which these two position lines would intersect will be the ship’s position at 1156 Hrs (Mer-pass time of Sun for that day). 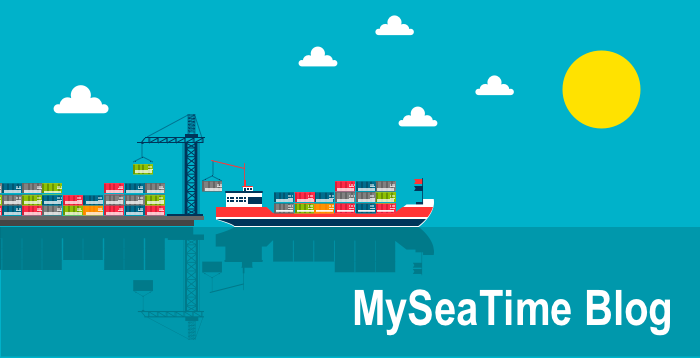 Since ages, maritime industry is obsessed with ship’s position at noon. So if we need the ship’s position at noon, we just need to apply run for 4 minutes to the position at 1156 Hrs to get the noon position. Getting the position by Sun sight is somewhat similar to getting the position by running fix in terrestrial navigation. In both of these, there is only one object. Like in running fix, for sun sight too we need to get the position line from the Sun at two different times. One position line is then brought to the same time as the second position line. The position at which the both position line (when brought to same times) intersect is the position of the ship. 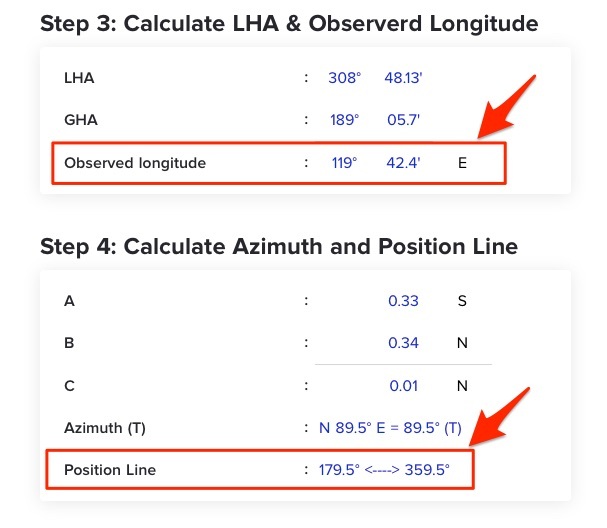 For sun sight, we get first position line in the morning by measuring the sextant altitude and calculating the position line with Long-by-Chron. 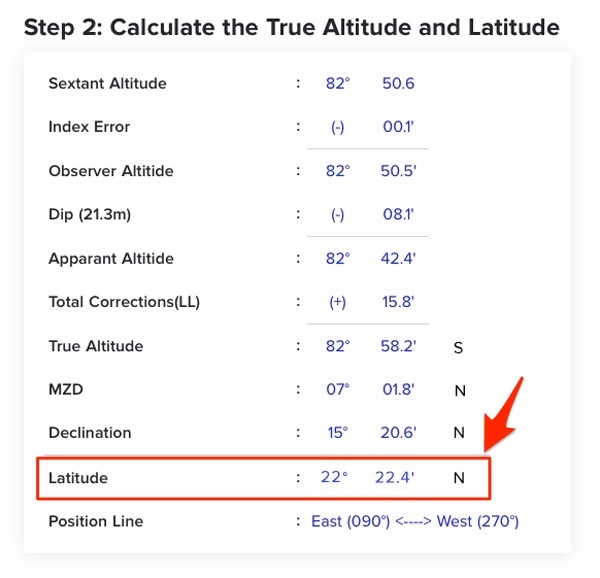 2nd position line is by measuring the sextant altitude of the sun exactly at the time of its Mer-pass. The morning position line is then brought to the same time as the position line at the time of Mer-pass. 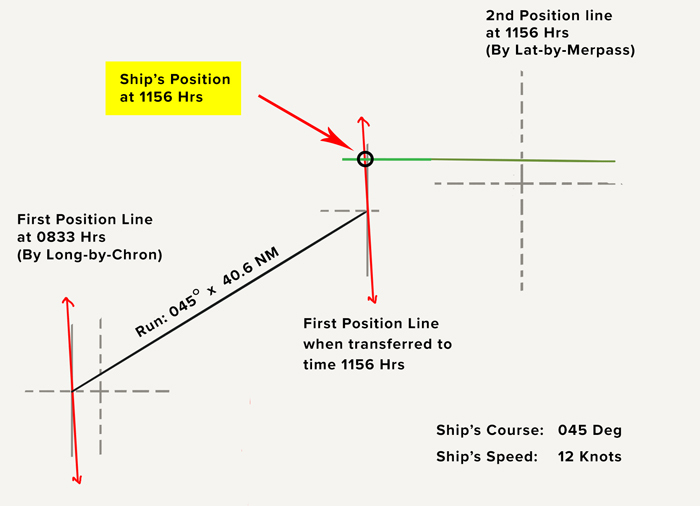 The intersection of these two position lines gives us the position of the ship at the time of Mer-pass. If we need to get the ship’s position at noon, we can just apply the run to get the ship’s position at noon. Thank you very much sir for such a clear explanation. Waiting for more articles sir. Request: position by intercept sun and stars. Okay, how about plotting celestial LOP and poaition on ECDIS ? 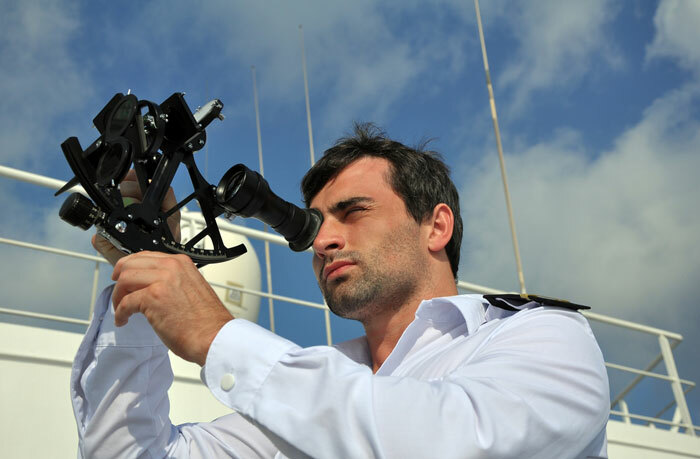 We have to calculate the position from the sight calculation and plot this position on ECDIS. No need of all those lines to be plotted on ECDIS. Sir, Could you give me your mail Id or something as I have a personal doubt regarding my career and wanted to ask you a query regarding it. A brilliant walk down the memory lane, the days of real navigation. Capt. Rajeev, keep up the good work. Good Day Captain. I much appreciate your efforts to share in public such useful information. Thank you. Why do use Long by chron in morning and Intercept in evening for sight calculation? I wonder if can we get positon without sun merd passage time ? Let say we get first line at morning sight 0833 then after 2 hours will get again a morning sight. Is it possible sir ?